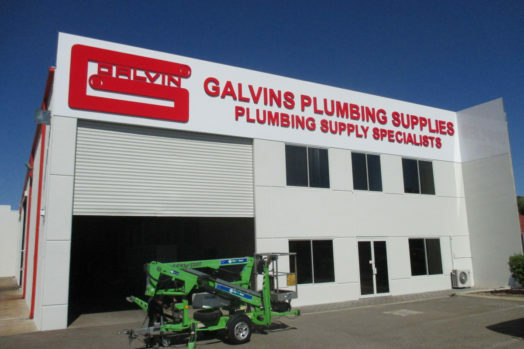 Signage should always serve a purpose and it does not always need to represent the Business/Organisation exclusively. Some signage is required to represent what an Organisation supports, acting as a visual medium by which to send a message. When these projects arise, our team understands the need to approach the project with clear objectives, to ensure the delivery or the project aligns to the Organisations vision, purpose and values. 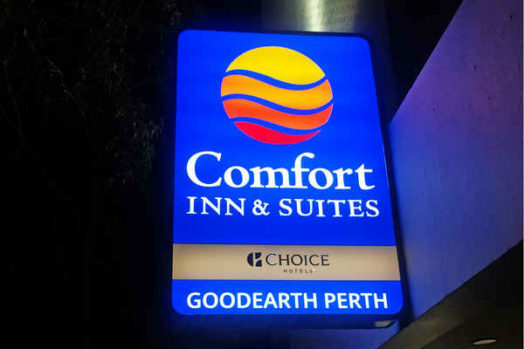 In previous years Signarama Joondalup / Osborne Park had assisted with the successful rollout of the ‘No Smoking on Campus’ campaign at Edith Cowan University (ECU) and looked forward to an opportunity to assist with their visual campaigns in support of the LGBTIQ community as part of their ongoing word in achieving gender equality. During the onset of the project in 2017, Managing Director Craig Mason, met with key stakeholders to gain relevant knowledge including ECU’s participation in the Science in Australia Gender Equity (SAGE) Pilot of the Athena SWAN Charter in Australia and membership with Pride in Diversity (PID). 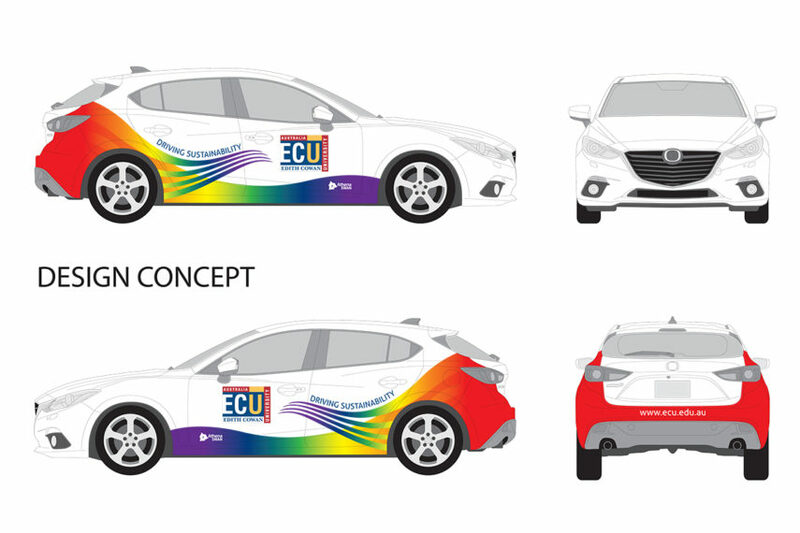 From there our Design team looked at ways to represent the PRIDE rainbow colours, while still being able to represent ECU’s branding guidelines. Our team created a very fluid design that could be used on multiple platforms and replicated on 3 dimensional objects if required. ECU is a proud supporter and promoter of equity and diversity and actively seeks innovative ways to demonstrate this support to our students, staff and broader community. 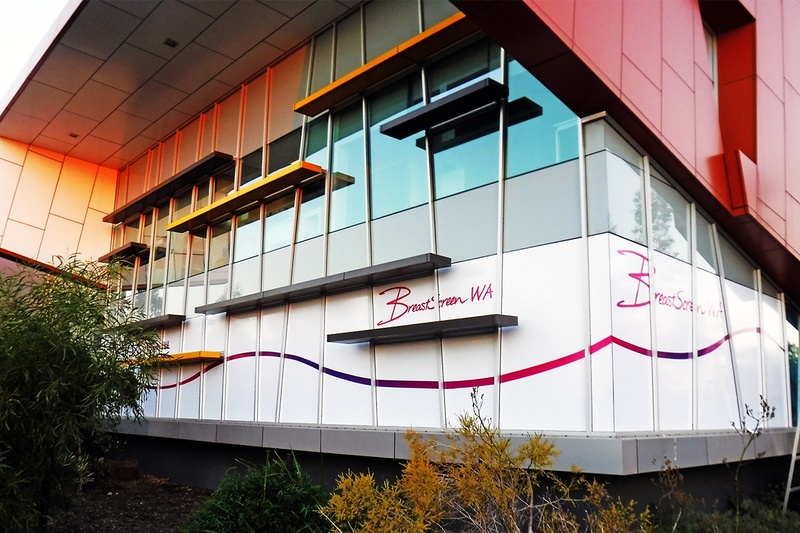 We were keen to identify a project that we could implement in different but connected ways across each of our three campuses, (Joondalup, Mount Lawley and Bunbury), to satisfy this brief. In May 2017 we developed some initial concepts round how we could be creative in demonstrating ECU’s support for our LGBTIQ communities (Lesbian, Gay, Bisexual, Transgender, Intersex, Queer and Questioning) using the PRIDE rainbow colours. Collaboration with the design team at Signarama allowed us to workshop, finalise our ideas, and present a proposal with visual mock-ups for senior management’s approval which in turn was supported. Aligned with our vision, purpose and values, ECU believes that support for inclusion is everyone’s business requiring a high profile, high impact project therefore; our target audience was all of our students, staff and visitors to the University. 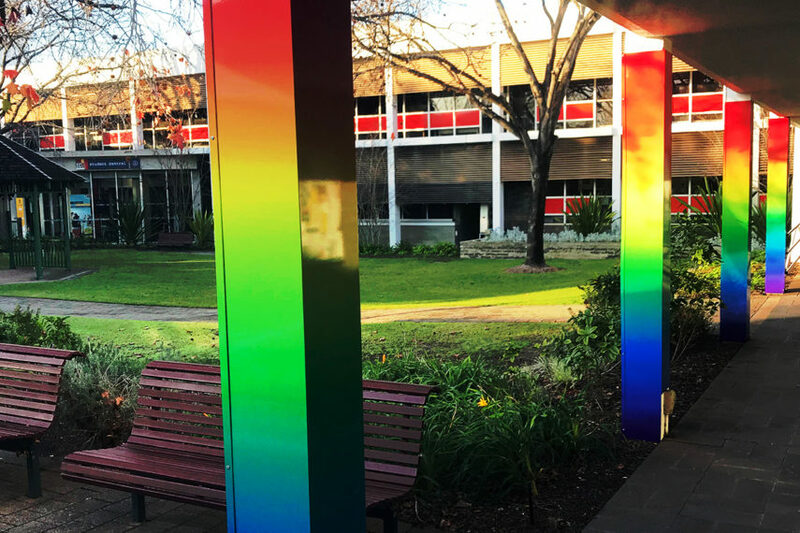 This project is an integral part of the University’s gender equality strategy and assists in delivering the strong message that ECU is committed to creating and maintaining an inclusive, non-discriminatory place to study, work and visit and where all members of the LGBTIQ community are welcome. ECU is a member of Pride in Diversity (PID) and we are working with PID to drive further change in our organisational culture to ensure we are more openly and consistently welcoming and supportive of our LGBTIQ staff, students and visitors. Why you chose Signarama to complete the projects. ECU chose Signarama based on our previous, positive experience of working with them to successfully develop and deliver other small projects for the University. Signarama demonstrated good understanding of how the University operates. 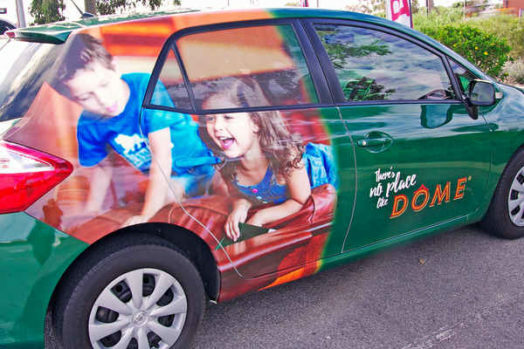 While there has not yet been any formal evaluation or survey of the impact of the projects, staff and students appear to enjoy the new installation and vehicle branding. The projects are encouraging conversations and dialogue about equity, equality and diversity in education and academia. That is one of the outcomes we had hoped for. How you found the process working with our Design and Production Team. The Design and Production Team took a partnership approach to the project listening to our ideas and adding value to our suggestions. The designer managed to effectively weave all our concepts into one design. The Design and Production Team’s professionalism, enthusiasm for the work and commitment to delivering on time are noted. There were three goals – one project concept for each campus. 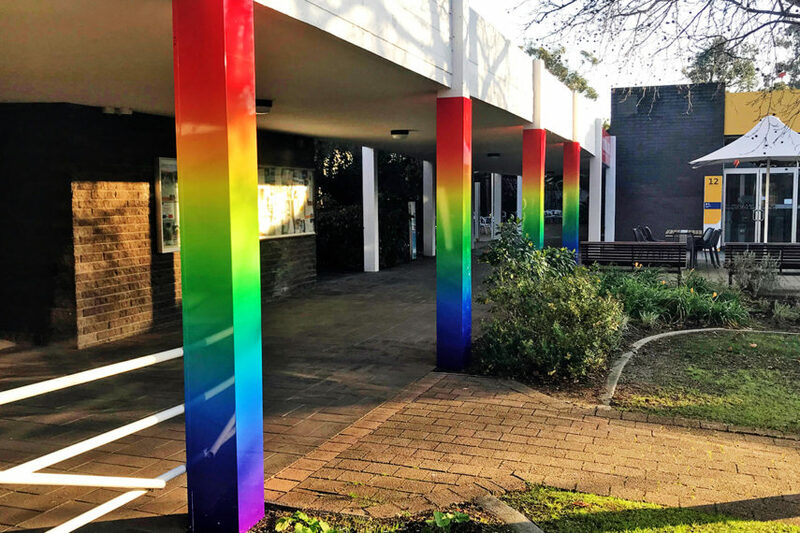 Signarama were incredibly helpful in assisting us to identify the most suitable locations to create an art installation featuring the PRIDE rainbow pillars. When the pathway where the pillars were to be positioned was identified at the Mount Lawley campus – it was a ‘Eureka’ moment. Already nicknamed the “rainbow walkway”, the feature radiates rich colours particularly during seasonal changes and importantly, it is instantly recognisable as a PRIDE feature. ECU’s Facilities team has an iconic electric buggy that everyone refers to as “Noddy”. It is extremely visible on campus and is in regular use every day. Everyone knows they can ask the driver for assistance, whether it be for directions, information or assistance getting to a destination should that be required. The logo for ECU’s membership as participants in the SAGE Pilot of the Athena SWAN Charter in Australia is clearly displayed on the buggy coupled with PRIDE rainbow skins resulting in high visual impact. This particular project has been enormously successful in promoting ECU’s equality message. ECU has a range of fully electric, hybrid and petrol vehicles which are out on the road most days and feature the ECU logo. The University selected one vehicle from the Bunbury campus to promote ECU’s participation in the Athena SWAN gender equality initiative and sustainability targets. 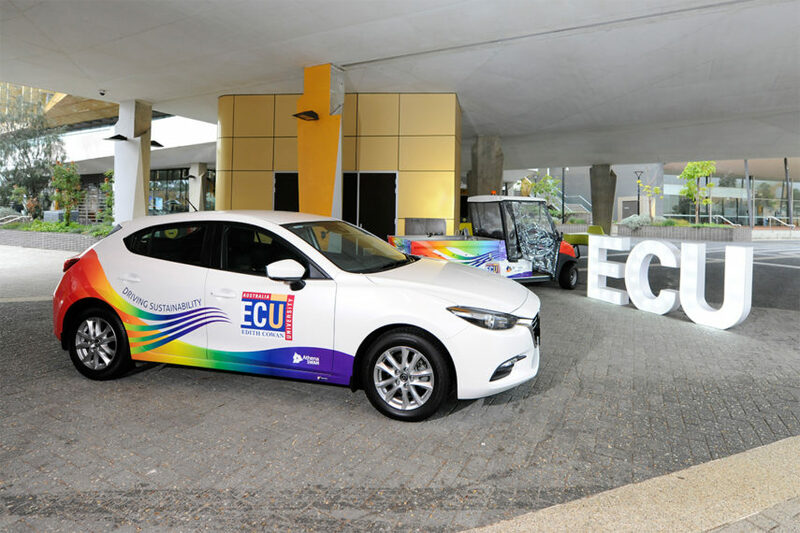 The graphics incorporate ECU’s Athena SWAN membership and other logos, effectively enhanced by the PRIDE rainbow coloured skins.